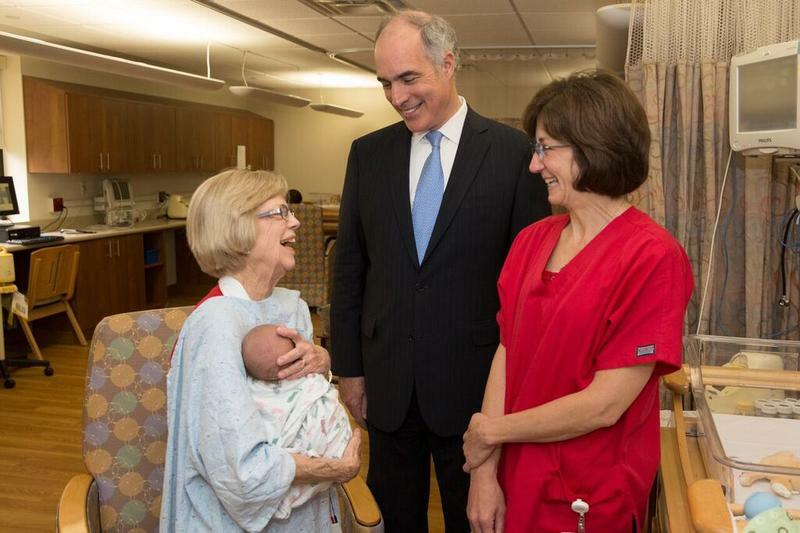 Births in Allegheny County are expected to rise for the third consecutive year in 2017, but state Department of Health officials are hesitant to pin it on any one reason – especially a hockey game. 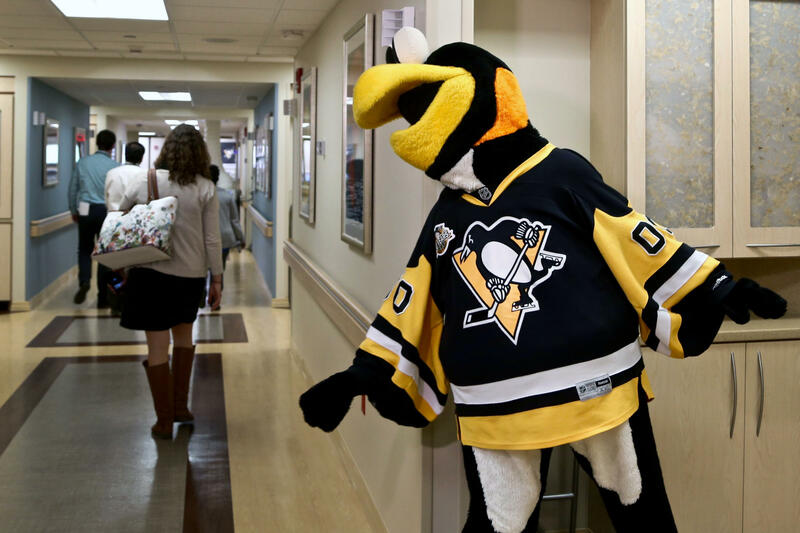 Pittsburghers who celebrated last year's Stanley Cup victory with intimate abandon would have given birth to their bundles of joy in the last couple weeks, just in time to watch the Penguins enter another playoff season. "Absolutely not. At least not in my household," said Press Secretary April Hutcheson, a self-described diehard Philadelphia Flyers fan and life-long Eagles season ticket holder. 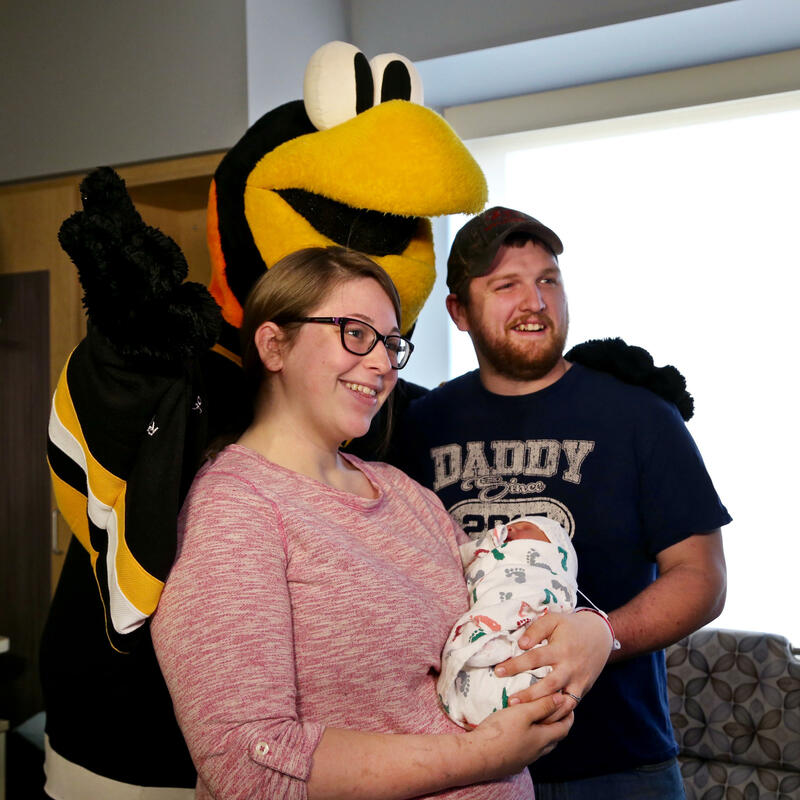 Kayla and Dyllan Hawley cradle their newborn son Westyn during a visit from Iceburgh, the Pittsburgh Penguins' mascot at Magee Women's Hospital on Wednesday, April 12, 2017. 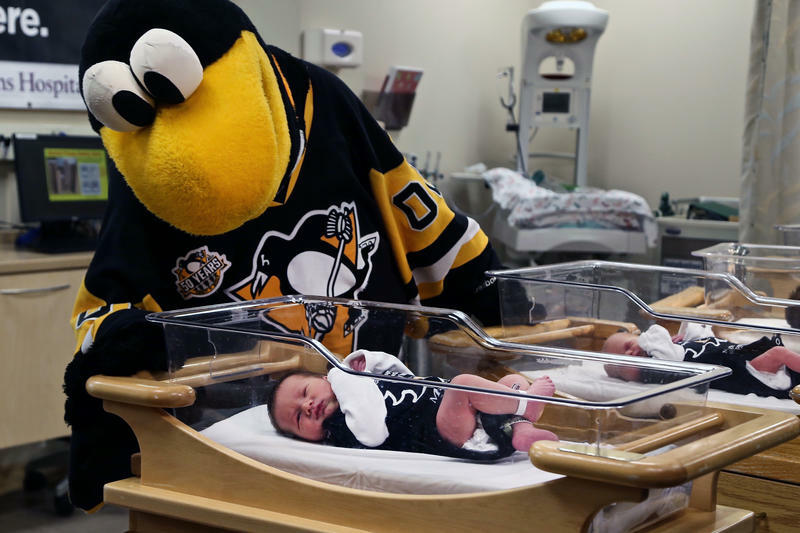 The Pens playoff season begins at 7:30 p.m.
"And even if the Pens winning the cup meant more babies, we wouldn't be able to tell," she said. Births by residence trended down in Allegheny County from 1990 to 2013 by 1.3 percent and swayed back up from 2014 to 2017 by about .03 percent. It's modest but healthy growth, Hutcheson said. The state issued 12,892 birth certificates for Allegheny County residents in 2010. About 13,427 are expected in 2017. Those figures are based on a combination of two models, the autoregressive integrated moving average and an exponential smoothing state space. They both consider population density, overall growth and resident demographics, Hutcheson said. "A younger population is moving in," she said. "Maybe they're hockey fans." Robert Crytzer, media relations manager for St. Clair Hospital, said his team had a good chuckle trying to look up the numbers. They thought they remembered one Super Bowl that filled the maternity ward – maybe. 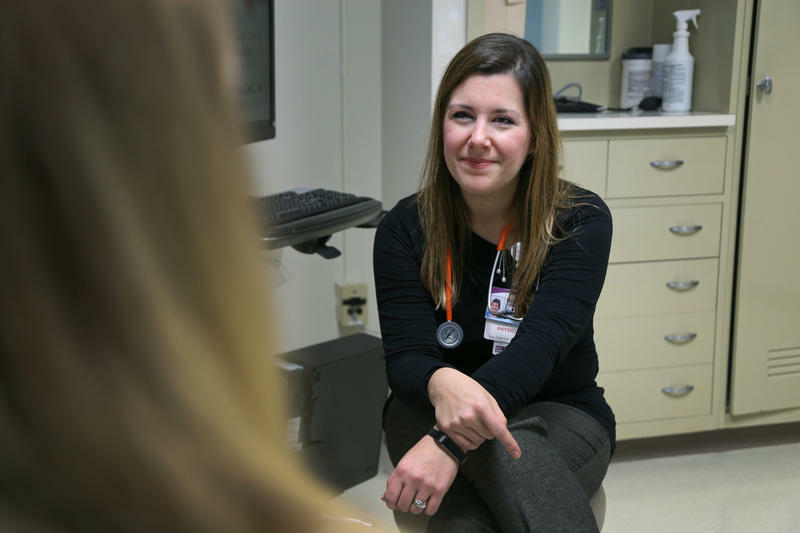 Spokespeople at Highmark, Conemaugh Health System, UPMC and the Midwife Center all shook off the idea, too. "I would like to say yes," said Conemaugh's Amy Bradley, but alas, no increase. She joked that they have noticed several babies named Evgeni. The Pens take on the Columbia Blue Jackets at home in Game 1 at 7:30 p.m. Wednesday. The Pittsburgh Penguins turned around a once-disappointing season and fired a coach before winning a fourth Stanley Cup, adversity that seemed to make Wednesday's city-wide celebration that much sweeter. 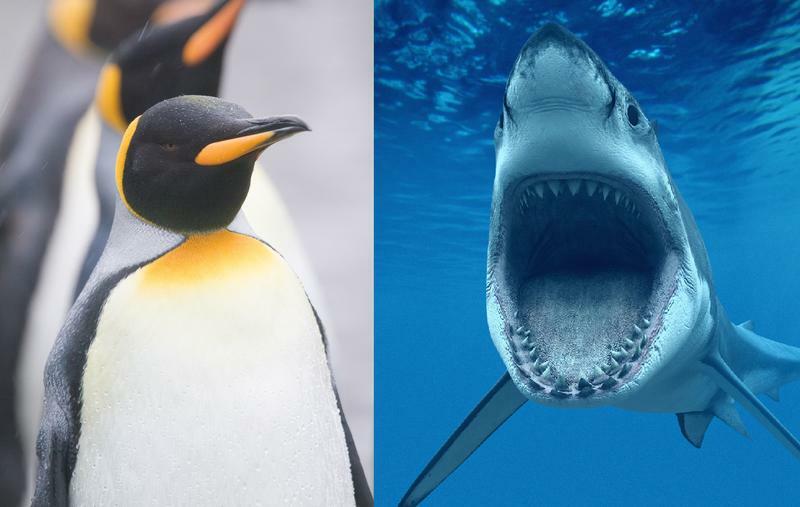 Actual Penguins Vs. Actual Sharks: Who Wins At Hockey? The Penguins are back in Pittsburgh tonight for Game 5 of the Stanley Cup finals against the San Jose Sharks. 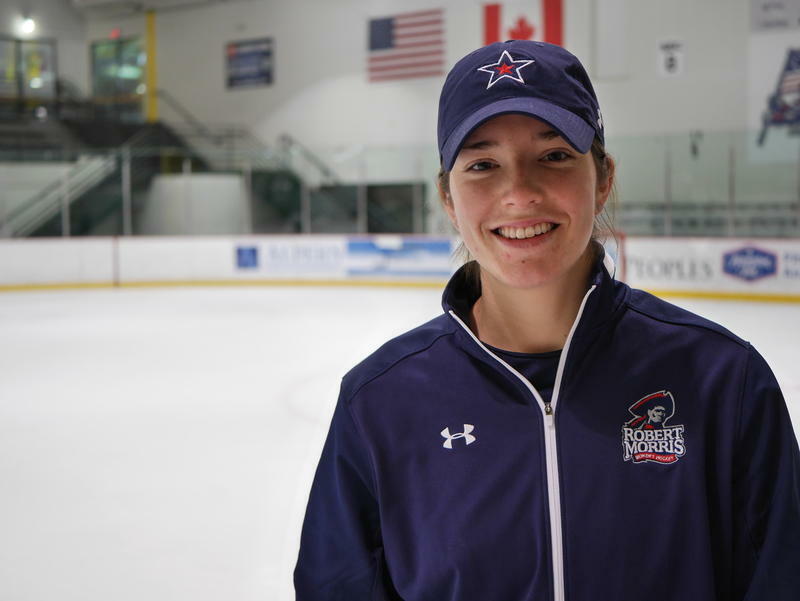 Kelley Steadman is on the ice most weekday mornings during the season with the Colonials, the women’s hockey team at Robert Morris University. She’s the team’s director of operations and stands along the side of the rink and gives players direction during drills. But on the weekends, she’s in the middle of the action as a forward in the National Women’s Hockey League, the NWHL. 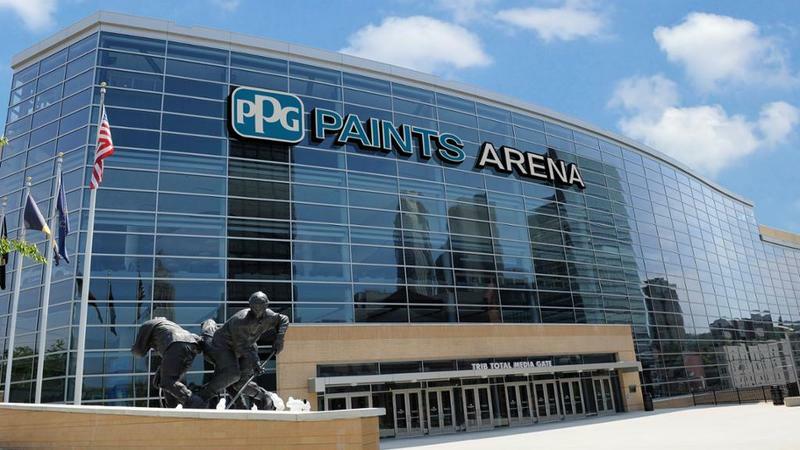 The Pittsburgh Penguins have announced their arena naming rights are shifting from Consol Energy Center to PPG Paints Arena. PPG and the team say the new deal covers 20 years, although they didn't disclose financial terms. Though, the previous naming rights agreement with Consol was reportedly worth $2 million per year. 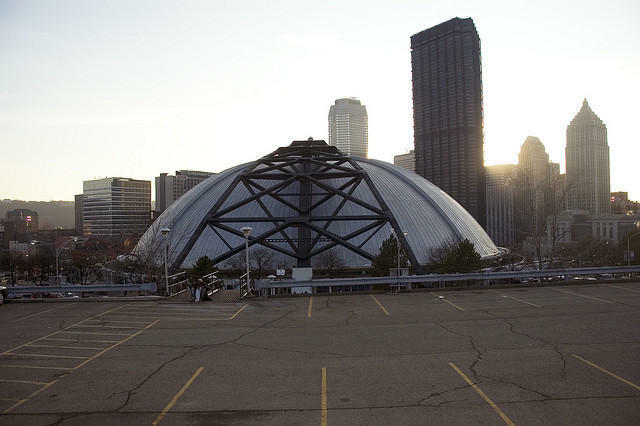 U.S. Steel has decided against building a new headquarters on the site of the former Civic Arena. “This decision has been shared with employees by President and CEO Mario Longhi. U.S. Steel will remain in the U.S. Steel Tower through the term of its lease,” spokeswoman Sarah Cassalla said in a statement. The lease expires in 2017. 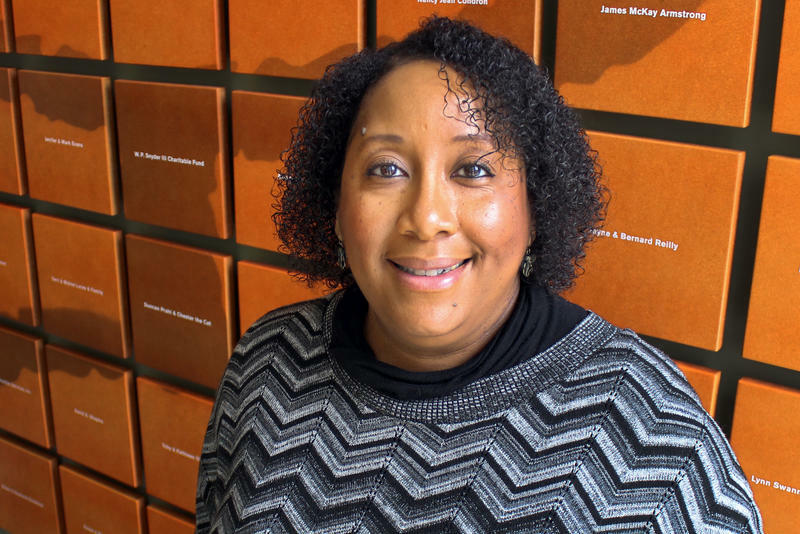 In a quiet, dimly-lit room of UPMC's Magee-Women's Hospital in Oakland, volunteer "cuddler" Donna Comfort held a tiny newborn in her arms. The baby was one of at least five in the hospital born dependent on heroin, prescription painkillers, addiction treatment medication or another form of opioid. Jeremiah’s Place is celebrating three years of service as western Pennsylvania’s only crisis nursery this month. 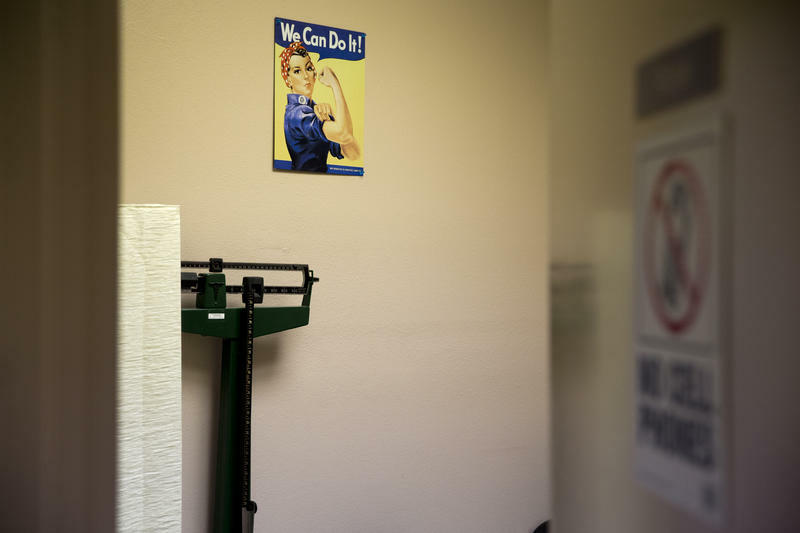 Located inside the Kingsley Association in Larimer, the facility provides 24-hour care for infants and children, who can stay for a few hours or even days when their parents are unable to provide help themselves.